Please note: Infield seats do NOT include 2019 Fair Gate Admission. You must purchase a General Admission ticket per concert ticket purchased in order to enter the fairgrounds. 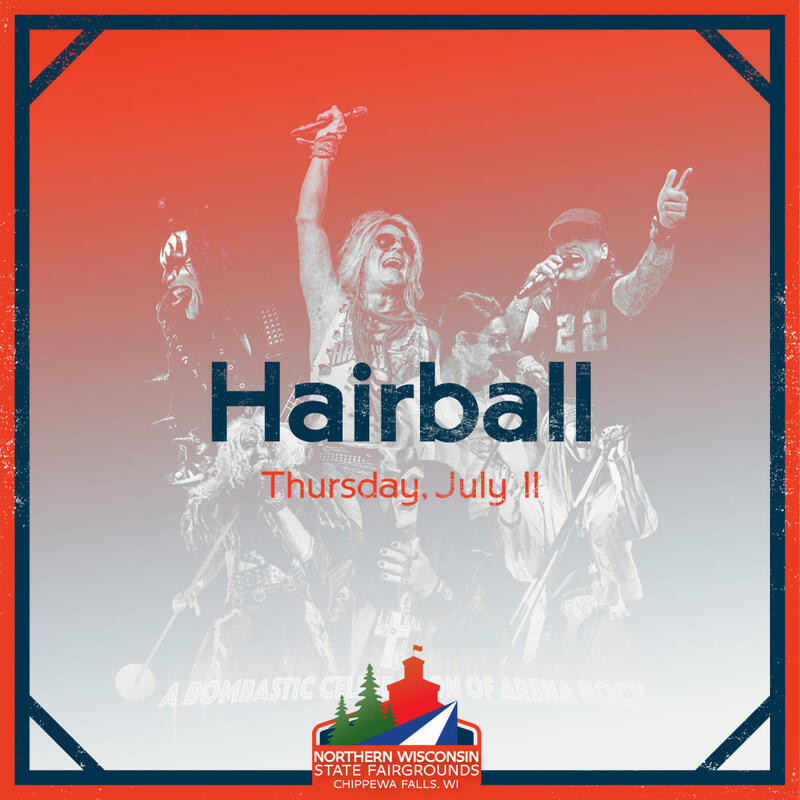 A band puts on a concert - Hairball puts on an event! Hairball is a Rock & Roll experience you won't soon forget. The lights, sound, smoke, fire, bombs, and screaming hoards of avid fans...to merely call it a concert would be like calling Mount Rushmore a roadside attraction! Vocalists Joe, Kris and Bobby lead the band through a 2+ hour, mind-blowing, and drop- dead accurate homage to some of the biggest arena acts in the world. Van Halen, KISS, Motley Crue, Queen, Journey, and Aerosmith are but a few of the acts fans will see brought to life. The Hairball stage becomes an entirely new rock concert before your very eyes countless times throughout the night. 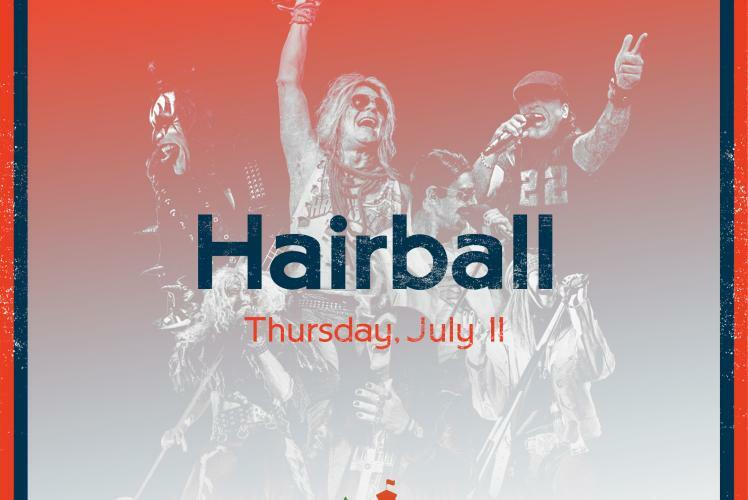 2018 finds Hairball celebrating its 18th year of rocking hundreds of thousands of people across the country. Constantly adding more characters, more pyrotechnics, more lights, more sound, more props, more surprises...more everything! While Happy often tells the audience "Today is the first day is the rest of your life!" Hairball performs every show as though it could be their last. Every night is a 100% full-on, no-holds-barred, exciting, chaotic, fiery party that has to be experienced to be believed! As important to Hairball as the music, are its fans. While many bands claim to have the best fans in the world, Hairball actually has! Whether they are 10 years old or 100, Hairball fans bring an unparalleled enthusiasm and energy to the show that enhances the arena experience. Hairball knows it wouldn't exist without its fans and takes every opportunity to let them know that. Whether it's a pre-show meet and greet, hanging out at the merch booth, or chatting online, Hairball has a lot in common with its fans and it's always a good time when they get together.